The wiring diagram from ECAD can be imported and compared with the designed harness in CAD. 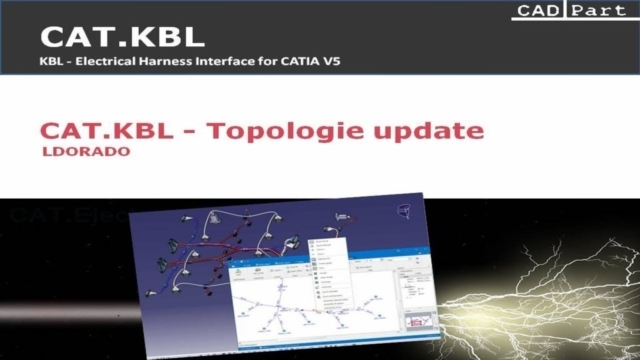 The KBL information of CAD and ECAD are displayed in diagrams, supported by colored information visualization for an easy understanding. 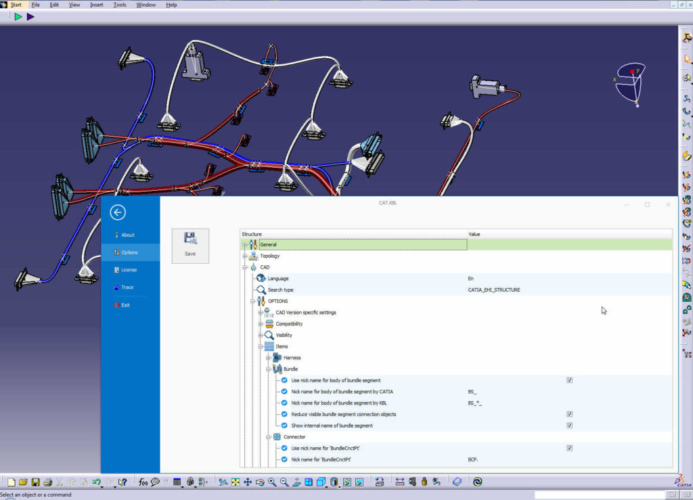 This enables the mechanical designer to identify and filter differences, to fix the gaps. If necessary, connectors, splices, protections or supports can be automatically assembled or replaced, according to the KBL information of the ECAD. If the electrical design is finished in CAD, the electrical topology can be exported to KBL format. 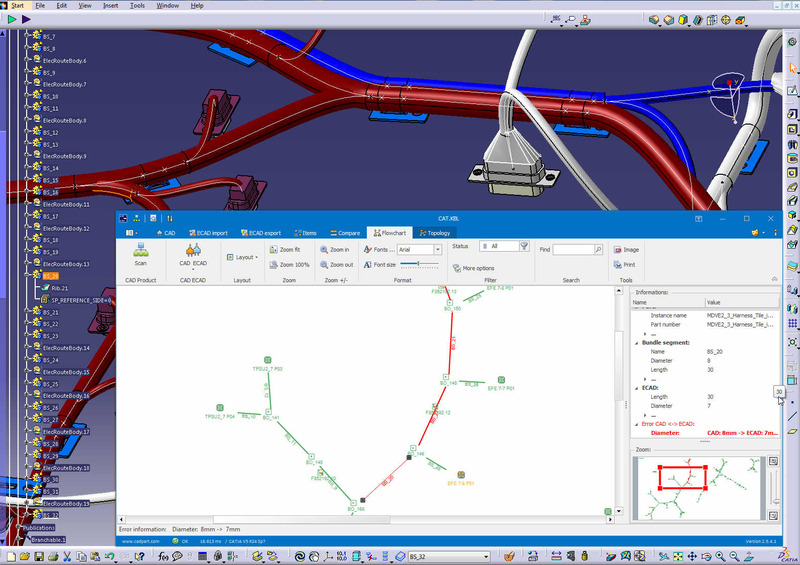 Based on this information, the ECAD systems create wire routing and the 2D layout for documentation. With CAT.KBL an engineering change can be easily realized, because it is an bidirectional interface. 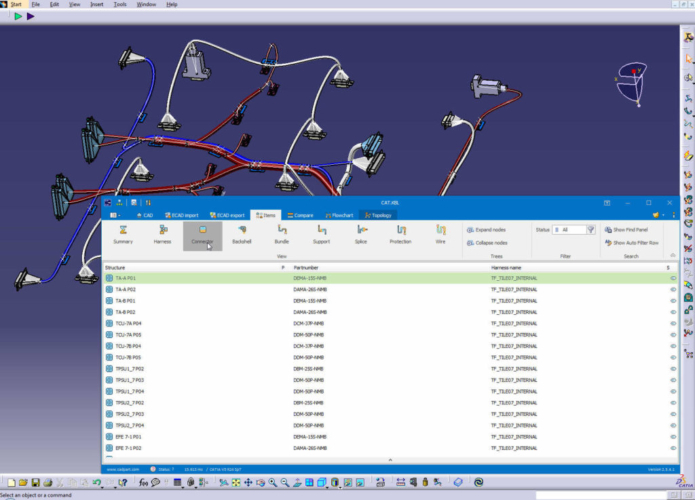 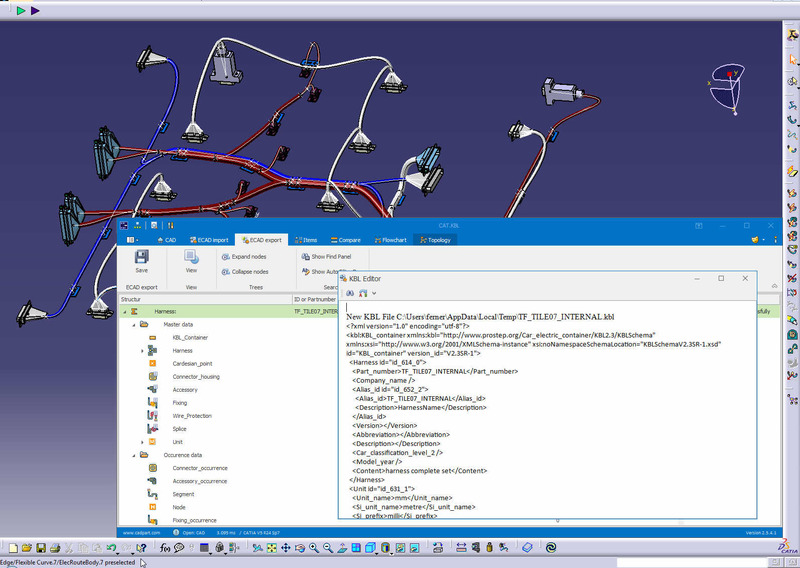 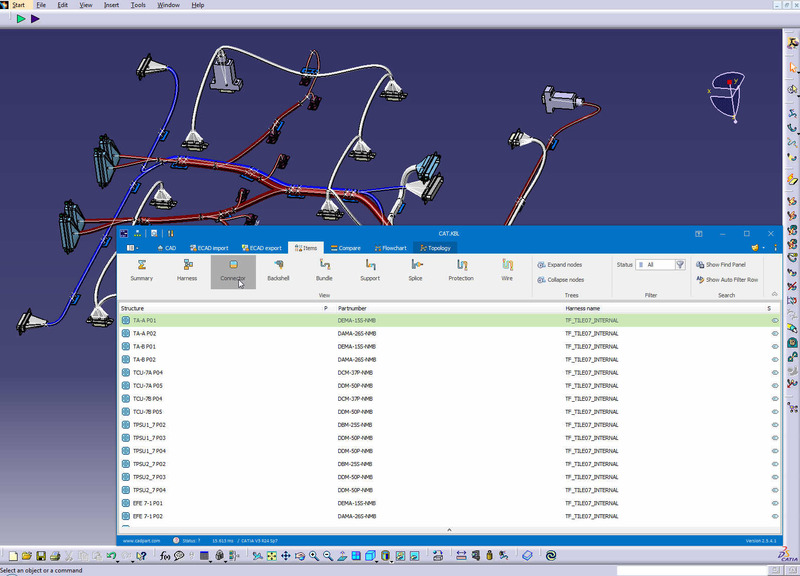 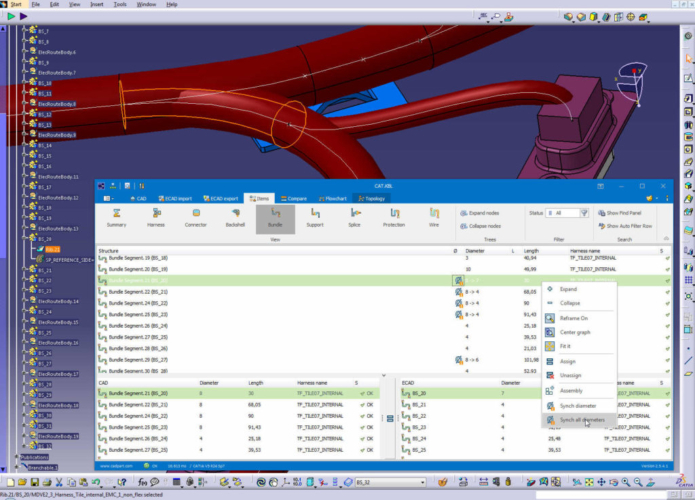 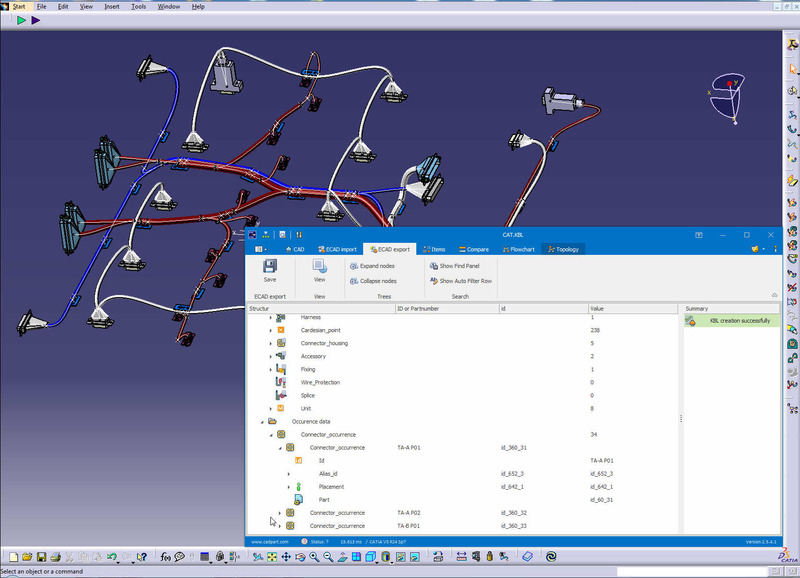 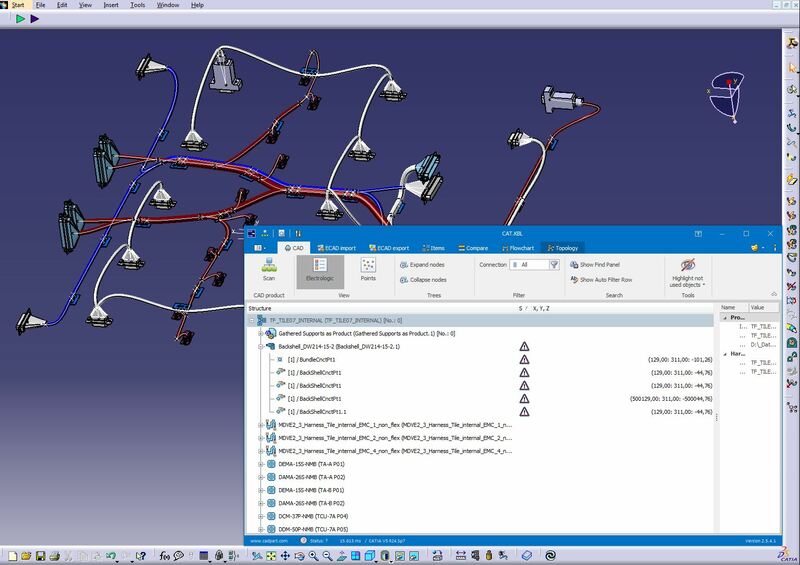 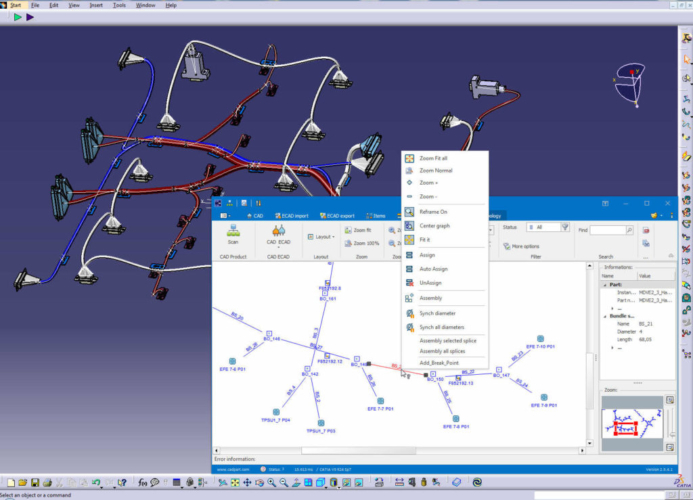 This means if bundle diameters or lengths are changed, connectors, splices or protections are added, changed or deleted, this changes can be displayed and synchronized by only a few clicks, to have an identical data model in CAD and the documentation.